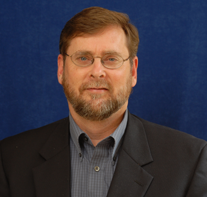 Author Steven Hill is a political writer and columnist. His new book is Europe’s Promise: Why the European Way Is the Best Hope in an Insecure Age. His personal website is www.Steven-Hill.com. 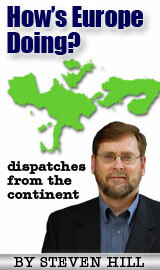 Steven is blogging about his 12-nation, 20-city speaking tour in Europe on the Washington Monthly website. A quiet revolution has been occurring in post-World War II Europe. A world power has emerged across the Atlantic that is recrafting the rules for how a modern society should provide economic security, environmental sustainability, and global stability. For a decade Steven Hill traveled widely to understand this uniquely European way of life. In Europe's Promise, he explains Europe's bold new vision. Financial Times: “Steven Hill is a lucid and engaging writer. He makes you sit up and think. He is surely right in saying that Europe’s prosperous, peaceful and democratic social market economy looks attractive when contrasted with the unbalanced, excessively deregulated US model or with China's politically repressive capitalism.” Read more. Reuters International: “Europe’s Promise marshals an impressive army of facts and comparative statistics to show that the United States is behind Europe in nearly every socio-economic category that can be measured and that neither America’s trickle-down, Wall Street-driven capitalism nor China’s state capitalism hold the keys to the future.” Read more. Internationale Politik (Germany): There are books on international politics which should not be rectangular, with a cover made of cardboard and many, many pages of paper, but they should look like cartridges for an assault rifle: sharp pointed projectiles with steel jackets and a heavy charge of powder in the case. 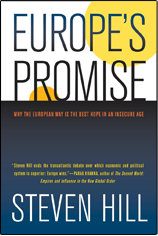 "Europe's Promise" by Steven Hill, is one such book. Explosive power, wherever you look...What to make of this dazzling Opus? The analysis offers some fresh perspective on the European and American systems…The book fills gaps in information about Europe and at the same time act as a manifesto for a fundamentally different America." Read more. Foreign Affairs: “Timely and provocative...Steven Hill argues that the "social capitalist" policies of European countries represent best practices in handling most of the challenges modern democracies face today…Europe’s Promise explains why in most areas, it is Europe's constitutional forms, economic regulations, and social values, not those of the United States, that are the most popular models for new democracies. The oldest one should take note.” Read more. EUSA Review: "The two great strengths of Europe's Promise are its breadth and its accessibility. The discussion is far ranging...Hill dispels myths and caricatures. He manages to survey in one book an extremely rich cross section of the policies and political practices that make 'The European Way' distinctive...Hill's book is also very well written, in an engaging journalistic style." The Guardian: US economists and Nobel laureates Paul Krugman and Joseph Stiglitz appear sanguine about Europe, with Krugman arguing recently in the New York Times that the European welfare state and social market economy have survived the financial crisis well and represent a more successful and enviable model than A why=merica's. 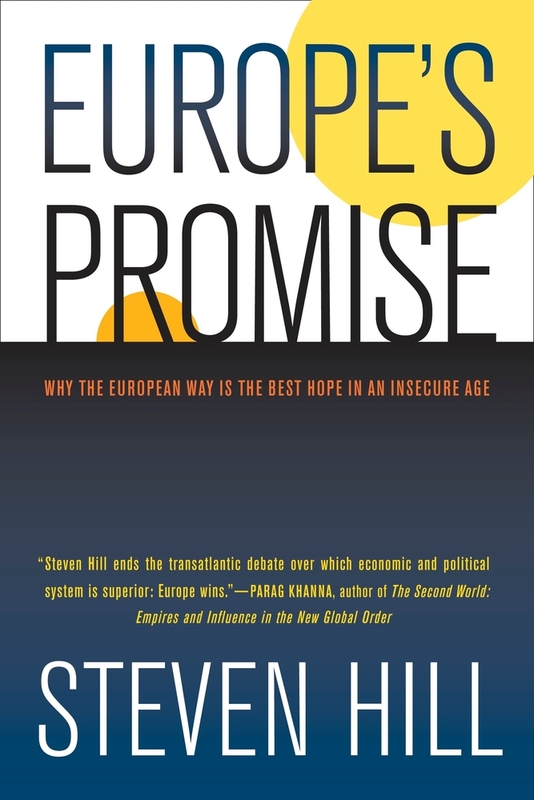 Steven Hill, a director at the Washington-based New America Foundation, has just published a book, Europe's Promise, which argues that “the European way is the best hope in an insecure age.” He dismissed talk of the EU being “marginalised” in a G2 world. On the contrary, he emphasised that the Obama White House was under pressure from the EU on climate change and financial regulation. “This, of course, is the exact opposite of the view that 'Europe is irrelevant'. Europe is actually hyper-relevant,” he said. “Obama knows that Europe is leading in these ways, and he would like to follow to some extent, but he is having a hard time delivering.” Read more. Reuters International: “U.S. militarism has long been a core part of the American Way,” writes Steven Hill in a just-published book, Europe’s Promise, that compares the United States and Europe. Militarism does “triple duty as a formidable foreign policy tool, a powerful stimulus to the economy, and a usurper of tax dollars that could be spent on other budget priorities.” Read more.